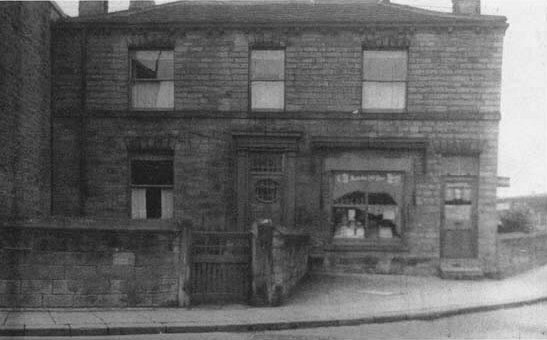 A shop on the junction of Church Street with Dale Street, the picture probably from about 1910. Later, during the 1930s and 40s, the shop was run by Albert English and his wife. This typical English corner shop, typified by Ronnie Barker in "Open All Hours" sold sweets, tobacco, bread, vegetables, tinned and bottled food, etc. After the English family left, the premises passed into other hands, but remained as a corner shop. Eventually, in the 1970s, and following extensive structural alterations, the shop and house became an Italian restaurant named Mario's, which later became Silvestri's.